greatschools.org, a popular school rating site, lists Franklin Avenue Elementary as being among the few public elementary schools in California that has received a Great Schools Rating of 9 out of 10. Based on reviews of 44 school community members, Franklin Avenue Elementary School has an average Community Rating of 4 out of 5 stars. The rank places the Franklin Avenue Elementary in the same category at Silver Lake’s coveted Ivanhoe Elementary School. Franklin Avenue Elementary School in Los Feliz has been honored by the Department of Education for 2 years running for significantly increasing the academic achievement for all students. At Franklin Avenue Elementary, students have at their disposal a School for Advanced Studies (SAS) program. The faculty receives specialized professional training, to develop a curriculum that engages bright minds and challenges the students. Franklin’s advanced studies program is designed to meet the needs of the gifted and high achieving students at the school. Regular assessments help teacher recognize the childrens’ special strengths and talents allowing students to enter the program at any grade level in whatever content area is best for them. Open Court Language Arts and Harcourt Math Series serve as a basis for the program but team teaching strategies introduce subjects beyond the core curriculum, allowing children to grow in the directly of their interest. 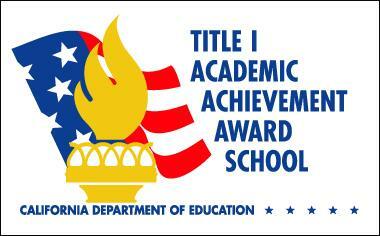 More information on the Franklin Avenue Elementary Schools for Advanced studies can be found on the school’s site. Enrichments at Franklin Avenue Elementary School in Los Feliz include music and an after-school theater program taught by “Miss Aimee,” who also guides teachers in how to use art in their curriculum. Plays and music events provide performance opportunities for the children. There is also an orchestra that has been under the guidance of the same teacher for more than fifteen years. Additional enrichment to the standard curriculum is provided by home-grown in-house Franklin Kids, a parent run after-school program. Students do homework, have a snack and then experience high-quality enrichment in asafe, nurturing setting. Key components of the program include classes in art, theater, science, and physical education. There are also targeted playground activities and creative art projects that are tied to holidays and school events. 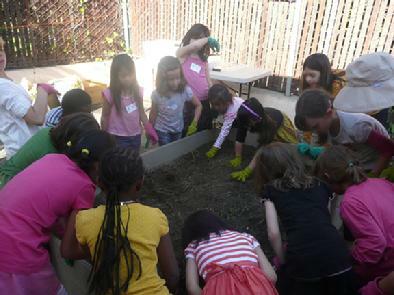 The latest addition to the program is Farm Franklin's Gardening Club. Farm Franklin was started by a parent and is nurtured by a group of dedicated parents. They have not only beautified the school grounds but are teaching children about environmental awareness. 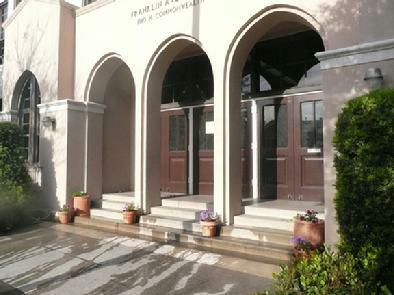 Franklin Avenue Elementary School in Los Feliz is focused on learning but also provides a fun environment for the children with events throughout the year like art shows, their annual talent show, Franklinpalooza and the Pinewood Derby.